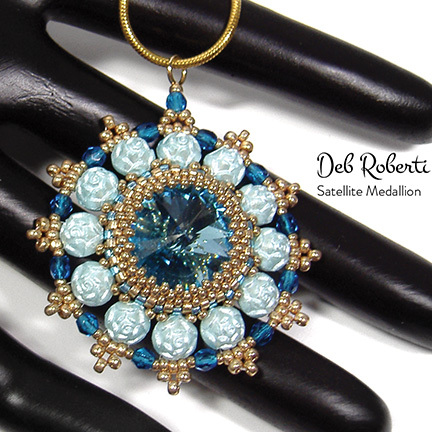 Although I initially designed this medallion for the new Czech two-hole Rosetta cabochons, I found that you can also use any 6mm or 7mm Czech two-hole cabochons, as well as Honeycomb and DiscDuo beads. 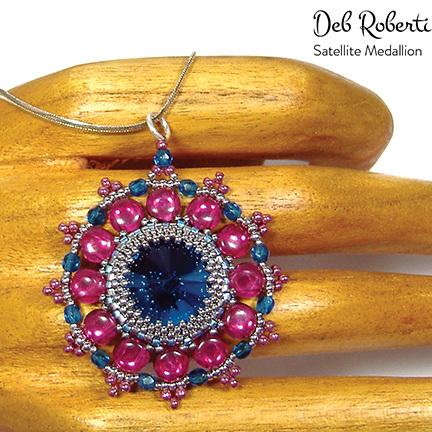 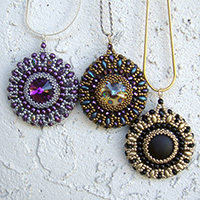 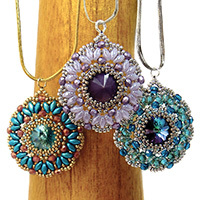 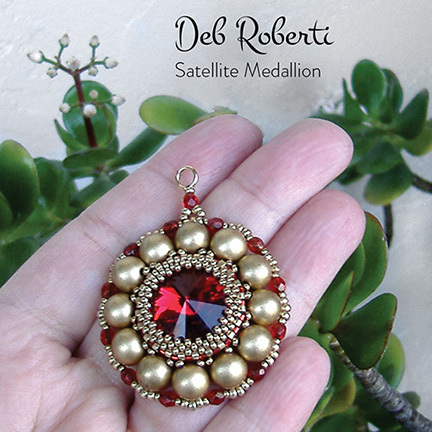 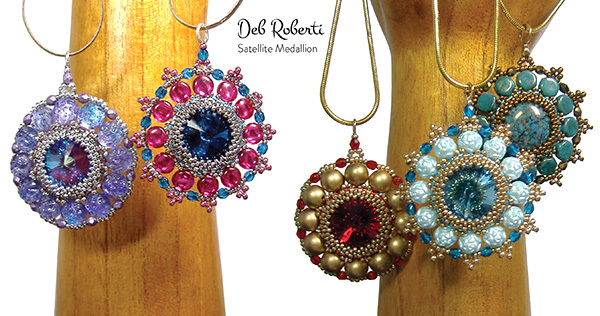 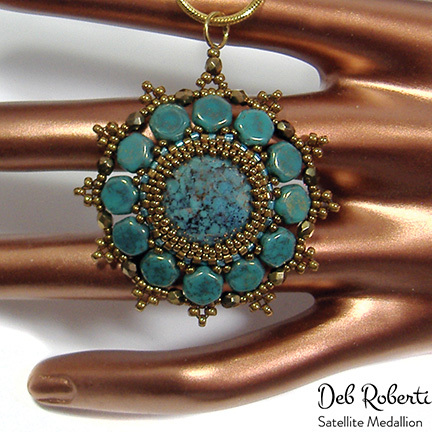 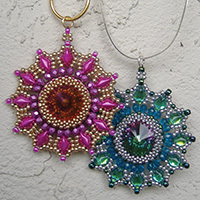 For the center, you can use an 18mm crystal rivoli or cabochon that you will capture in a peyote Delica bead bezel. 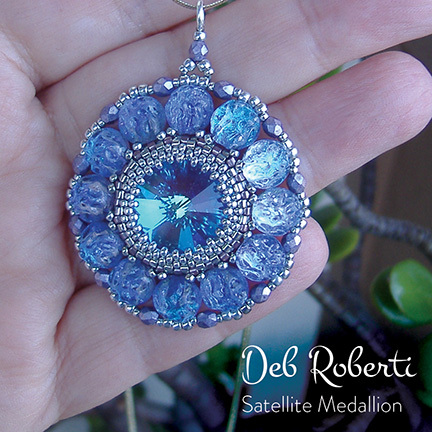 Detailed step-by-step directions from start to finish.